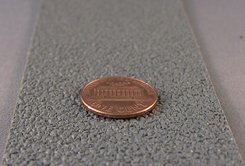 Phenomenal wet slip resistance for a non-abrasive, resilient anti-slip (non-skid) floor grip tape. Good for almost any situation. 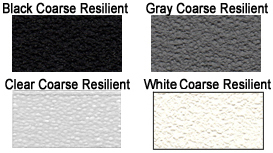 Standard colors are black, clear, white and gray. 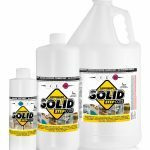 Great for areas that get wet like showers, baths, food safety areas, pool areas and boats. Easy to apply floor anti-slip tape: peel-off adhesive backing. 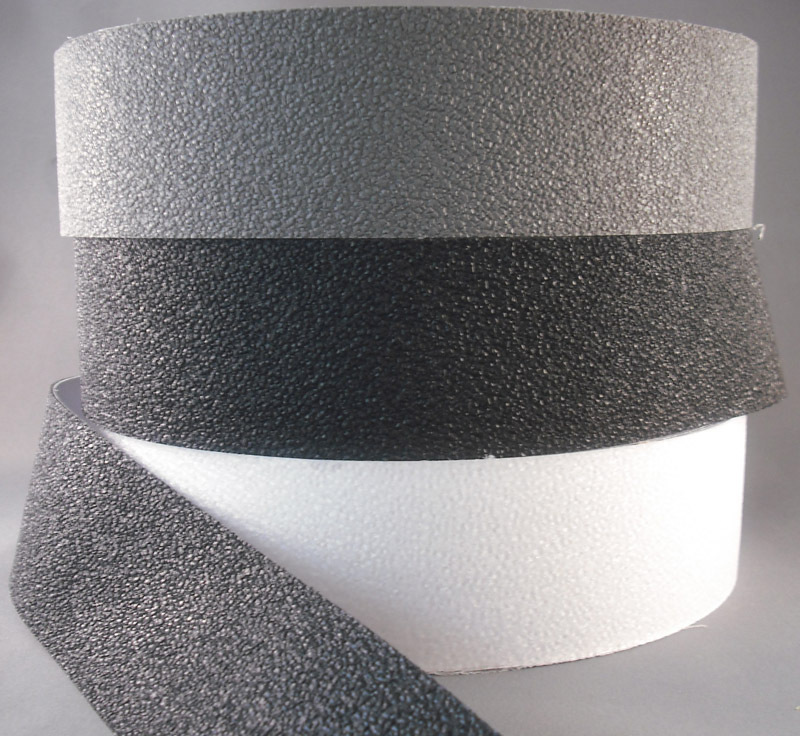 Non-abrasive resilient anti-slip (non-skid) floor grip tape built to last for any indoor or outdoor use. Helps assure ADA and OSHA compliance. 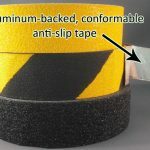 This anti-slip tape has much greater slip resistance than our standard Aqua-Safe anti-skid tape, making it ideal for situations where the area will be getting wet regularly and you want the absolute best in slip resistance. 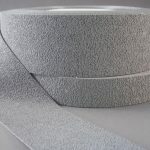 Easier to clean and kinder to bare skin than our Safety Grip abrasive anti-slip tapes. 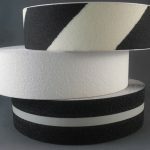 Our Coarse Non-Abrasive anti-slip tape is ideal for any slippery floor or tub situation. Non-skid tape with excellent slip resistance, easy to apply, and cleanable.